The Grimmster team will be attending this years MegaCon convention. MegaCon is being held in Orlando, FL from March 21st – March 23rd at the Orange County Convention Center. 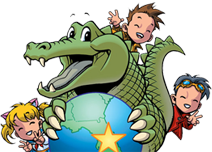 MegaCon is on of the largest multi-genre conventions that showcases the best in comic books, sci-fi, anime, fantasy, and gaming. They have a huge list of media/comic guests attending this year including the one and only Stan Lee. The whole team will be out in full force supporting our friends over at Art in Effect. If you’re headed out to MegaCon make sure to stop by the Art in Effect booth # 145 and say hello! Click here to get all of the latest MegaCon news.